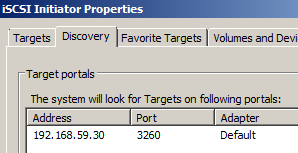 And obtain this information for all hosts. 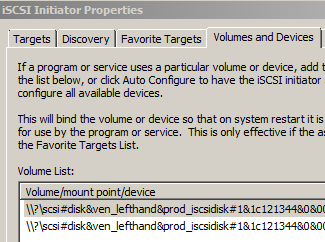 I have used the iSCSI Initiator Name information obtained above to create a cluster object for the hosts in the HP P4000 CMC. 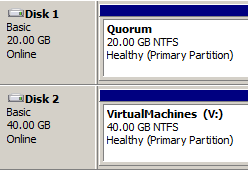 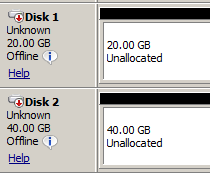 I then created two volumes - one for Quorum, one for VMs - and assigned the hosts the read/write permission. Do this above for all hosts.